As ACT! Certified Consultants, we can help you organize customer and prospect information through contact management software. Get more of what you value most—time and money—by automating key activities, taking customer communications to the next level, and unlocking a rich source of new leads. We can also help you setup easy-to-manage email marketing to help drive new business your way. 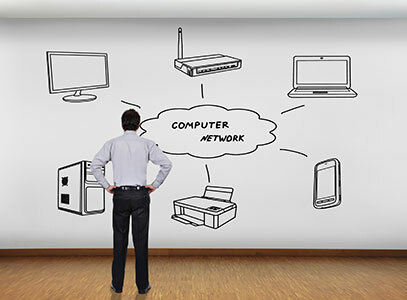 There are many well thought-out considerations to make when setting up your business computer and network systems. We can help make this process less stressful. Network engineering, implementation and support is our specialty. As resellers for many major hardware and software brands, we can even provide the products to get you up and running. It’s a big world out there, and we can help you connect with it. We offer domain name registration, web hosting and web design . Choose the highly popular WordPress for your website platform. Optionally, you can integrate social media, your blog, a shopping cart and more. Your customers and prospects visit you on the web to learn more about your business, so make sure you are setup to impress. Why choose DataMasters, Inc. as your ACT! Certified Consultant? Susan Slattery	2018-03-10T20:02:52-05:00	September 10th, 2016|Comments Off on Why choose DataMasters, Inc. as your ACT! Certified Consultant?